You spent hours in toy stores squeezing and groping those blind-bagged Minifigs to ensure you’re buying exactly the characters you want, so Lego is rewarding your efforts with an updated display case that’s completely see-through to best show off your hard-earned collection. Lego hasn’t officially revealed the new Minifigure Display Case just yet, but it popped up on the UK-based Smyths Toys’ website as being available starting in late June for just shy of $50. 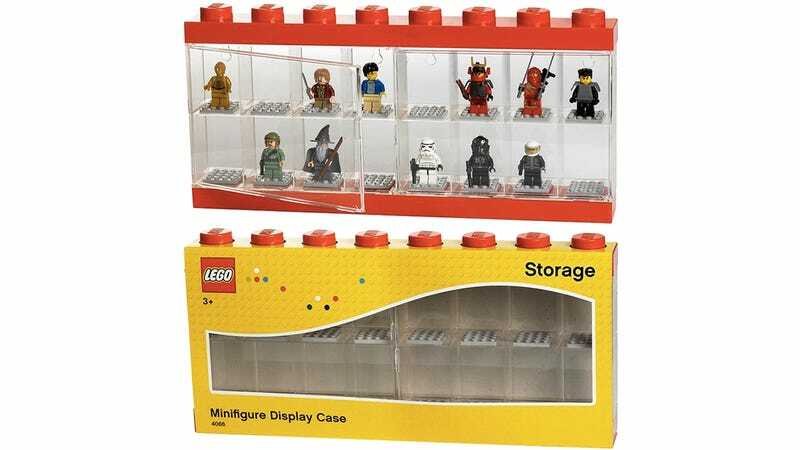 The case features two large doors on the front for accessing the 16 available spots inside, and each one has a four-by-four stud base on the bottom for posing your Minifigs and their accessories. And just like Lego bricks, the display cases can be stacked to expand their capacity.